Just wanted to wish everyone a very happy new year. I've really enjoyed being a part of Mason Dixon KAL! Sure wish I had had these for my boys when they were babies! I love the pattern. :) It's such a simple design, but I think they will come in very handy for keeping the babies outfits nice and clean. 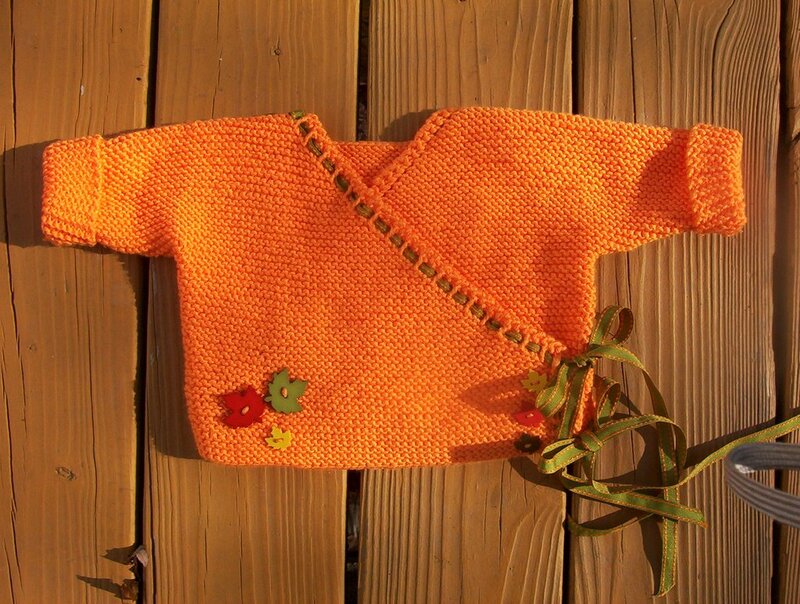 I've been dying for an excuse to make the heartbreakingly cute baby kimono, and now I have three excuses (two co-workers and nephew and his wife). Have any of you found the wrist on the kimono to be too small for a baby to put its hand through? Mine is the four inches wide at the wrist like the directions say, which means folded in half it is two inches (or a little less after seaming) and it just seems really tiny to me. Are baby's hands really that small? (it's been awhile!). 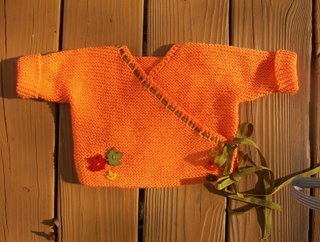 Hello, I'm new to the KAL! This is my first post and here are my first projects from the book: I got it for Christmas and immediately cast on the Baby Kimono for the baby of a friend that will arrive any day now. I loved the projects and I had great fun hunting for yarn in my stash. Other info about me? I'm 30, I live in Germany and I'm a teacher. 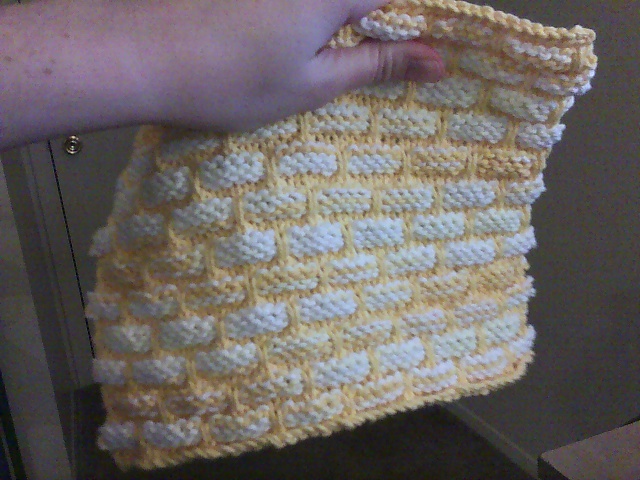 We don't have Peaches and Cream yarn here but the local dishcloth cotton works ok. Here are my warshcloth's getting all fancied up to be given away for Christmas. It is embarrassing how addicted I am to knitting these. But hey, bad habit & all, the end result is so freakin cute! Right? I hope everyone had a wonderful Holiday and I would like to toast the New Year. Ladies, lift your glasses & needles to yourselves, for keeping the craft alive! Here's to Peace & Happiness in 2007! 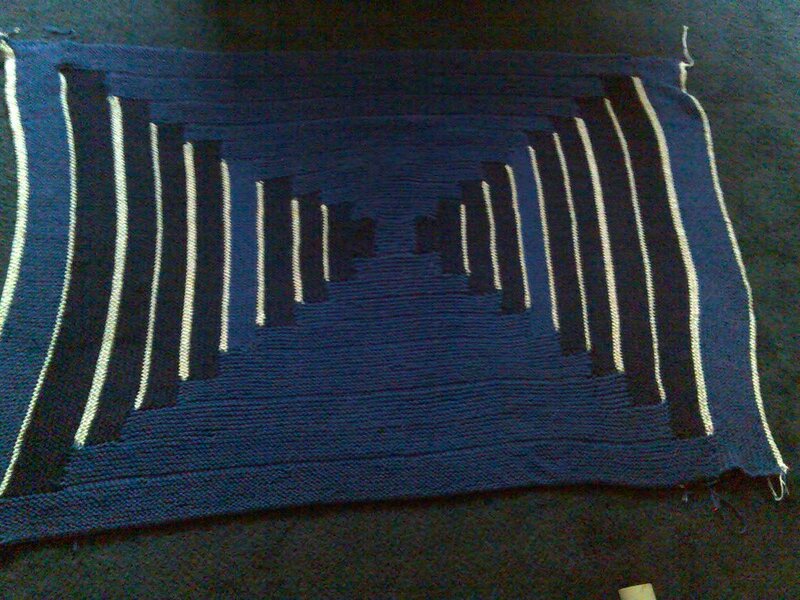 I've got my first baby kimono finished and blocked and now I need to seam it together. I get the concept of the mattress stitch on garter stitches, but I'm a little confused how that is going to work on the sleeves. 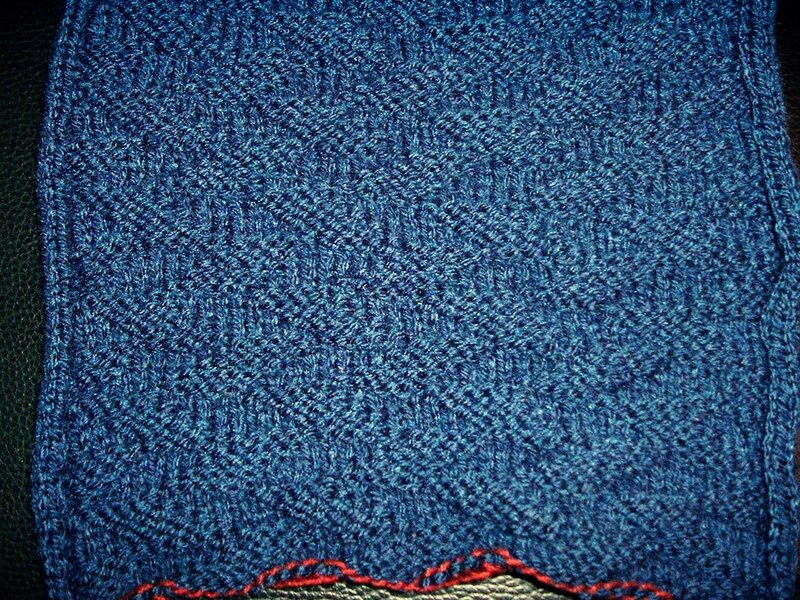 I mean, I've basically got a diagonal going where I've bound off the stitches to form the sleeve and so it's not straight, even rows to match up. Can anybody give me some insight as to how to finish this? Wishing all Canadian and British bloggers a very happy Boxing Day (as well as any others who celebrate it!). I have been spending mine in pure contentment making... you guessed it!... boxes while managing to deal with a whole lot of my stash. The above is one of them. The other two are still in progress. I thought to myself, "Who else but the MDKAL-ers would really appreciate this photo?" Taken on the night my knits started speaking. Happy holidays to all, and hope all your warshrags reached properly appreciative giftees! 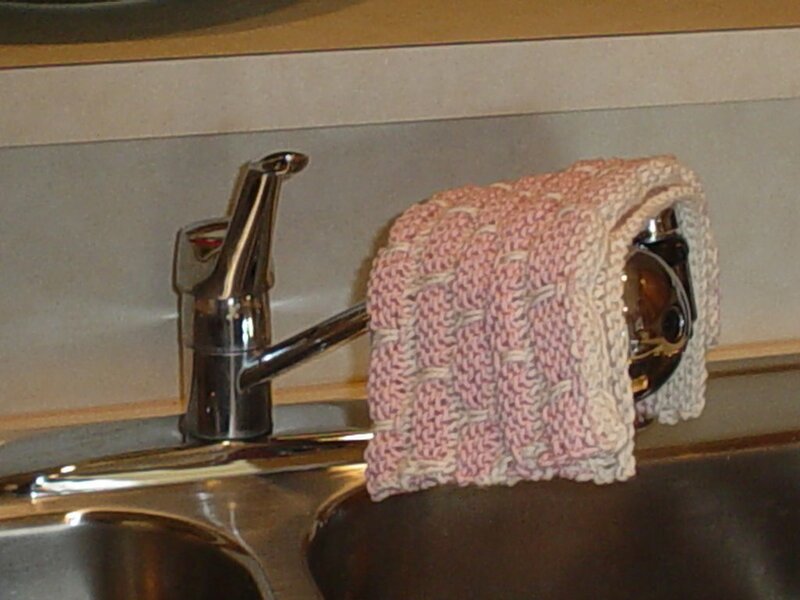 I've made about a dozen of these ball-band washcloths. This colorway is for my Mom. The colors perfectly match her bathroom. 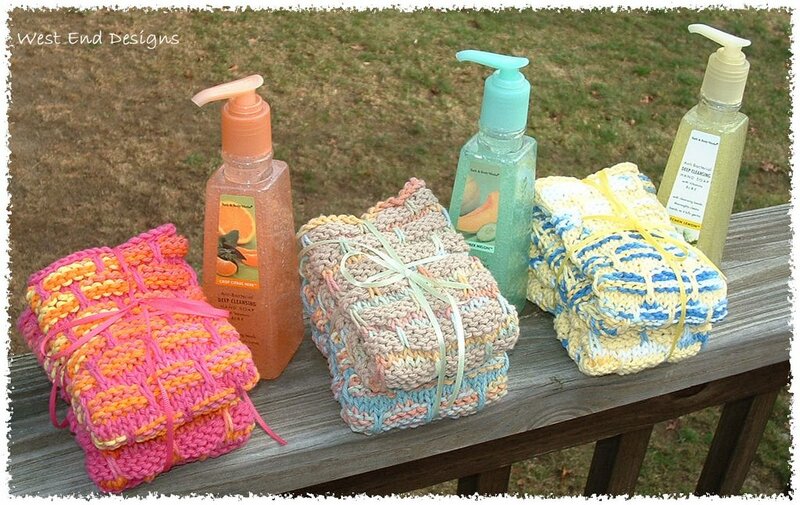 Soon to be started: A camo log cabin afghan, Absorba bath mat and more washcloths. Moderne Log Cabin - Knitting Done! Did you notice that I said "finished knitting" vs. finished? That means I still have about a million ends to tuck in. I managed a few yesterday, but then needed to take a break. I will probably really finish this today sometime. First, I scanned the page from the book that showed the color layout. Then after chosing the yarn I wanted to use, I brought the scan into my PaintShop Pro and worked on the scan - making rectangles to overlay and then filling in with colors. I didn't like the original color layout, so I changed it up a bit. Next was figuring out my gauge and doing the math to determine how to get the correct finished size 50" x 60" out of worsted weight yarn (Cotton Ease). 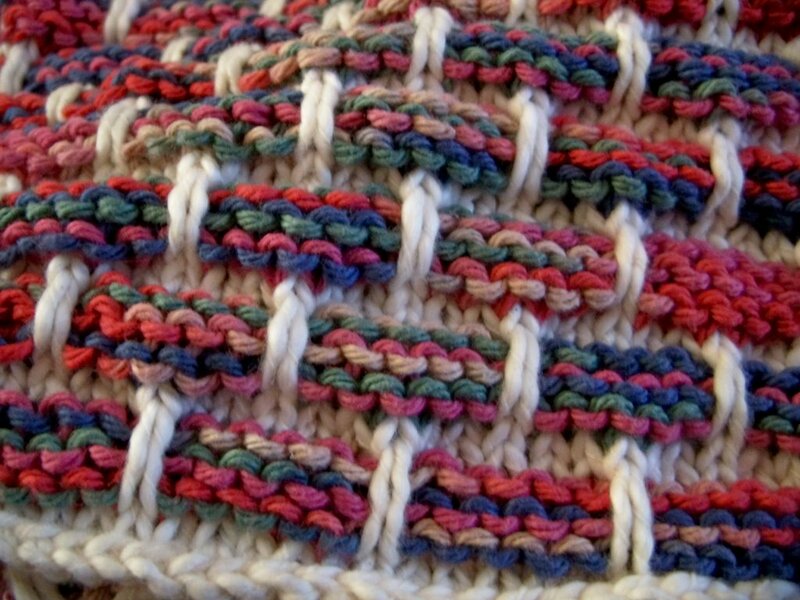 From the gauge swatch I determined that I was getting 4 stitches and 8 ridges (16 rows) per inch. I then marked up the print of my colored scan so that I would have all the numbers handy. While I was knitting I kept track of how many stitches I could get out of a whole skein. It came out to approx. 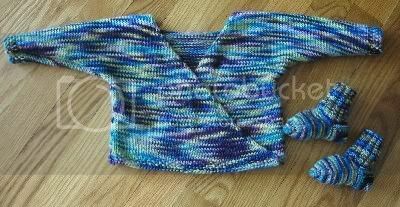 9216 sts per skein. Knowing that, I determined each square total stitch count (stitches x ridges x 2 (because each ridge is 2 rows)) so I could be sure I had enough of each color. I knit this up leaving the live stitches on the needle instead of binding each rectangle off, and then having to pick up those bound edges. My Denise needles came in really handy here - especially since I had already purchased the additional extra long cables that are sold separately. 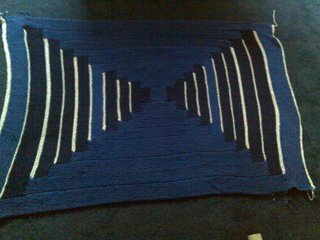 Just for the curious, for this large size log cabin in worsted weight it came out to a total of 96,000 stitches - without the i-cord binding calculations. 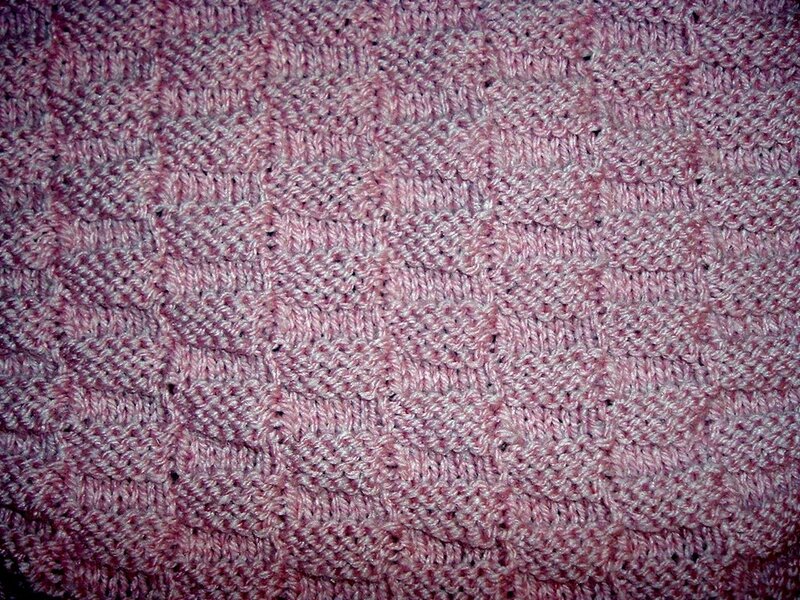 For the 2 side-by-side squares I had originally went about following the directions, but I thought it looked sloppy, so I tore that all out and knit each one separate. I zipped them up together at the end. The edge is done with i-cord in the dark blue color. I wish I had flipped it before I started the i-cord so that the raised edge would be on the front vs. the back. To end, I would make this again and probably will. Another worsted weight but not cotton-ease because I don't have enough to do another and I am not liking the new colors - too pale. 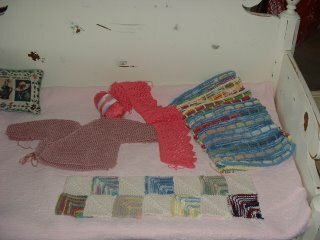 I finally put some batteries in the digital camera...I took a photo of all of my Mason Dixon knitting. There are 4 ballband dishcloths ( I made a red white and blue one but already gave it away), the "godmother" edging still in progress, a baby kimono waiting to be sewn together.....and my crowning achievement, a Mason-Dixon inspired use for all of those tiny balls of peaches and creme left from disclothes-it's intended to be a bath mat. I've been dying to do a modular type project and these little bits and bobs that are leftover from the dishcloth are perfect. oh man, FINALLY done! FINALLY!!! 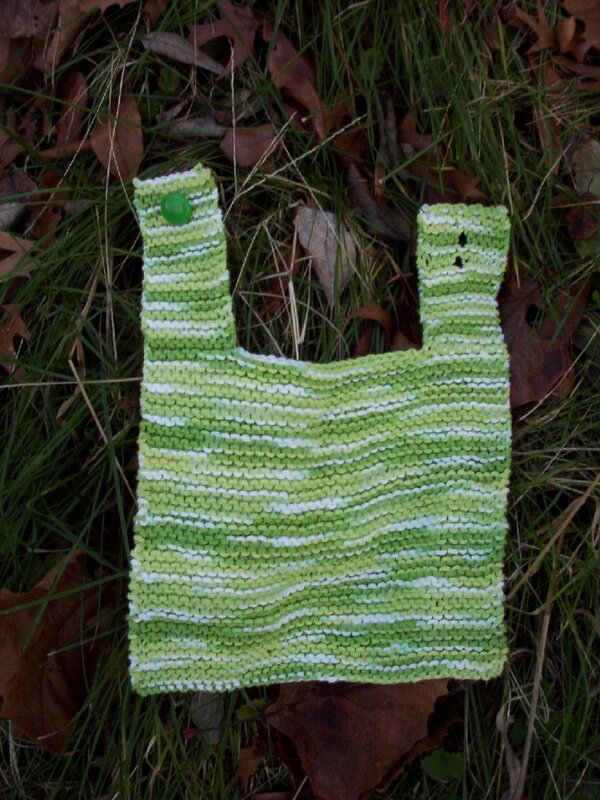 if you want details on yarn, etc., click the photo to go to my blog. Inspired by the wonderful Mason-Dixon Knitting book, this crocheted utility cloth (dishcloth or washcloth) is my version of their baby blanket. 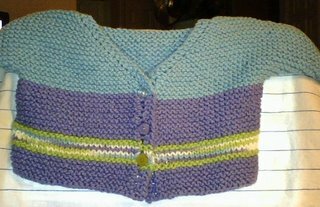 The four colors in the cloth are a great way to use up yarn leftovers from other projects. The only issue is that crocheted log cabin blocks tend to go more trapezoidal than rectangle, but severe blocking fixes that. Get it way and pin it like crazy, and you will have a rectangle. If it doesn't turn out perfectly even, no worries. 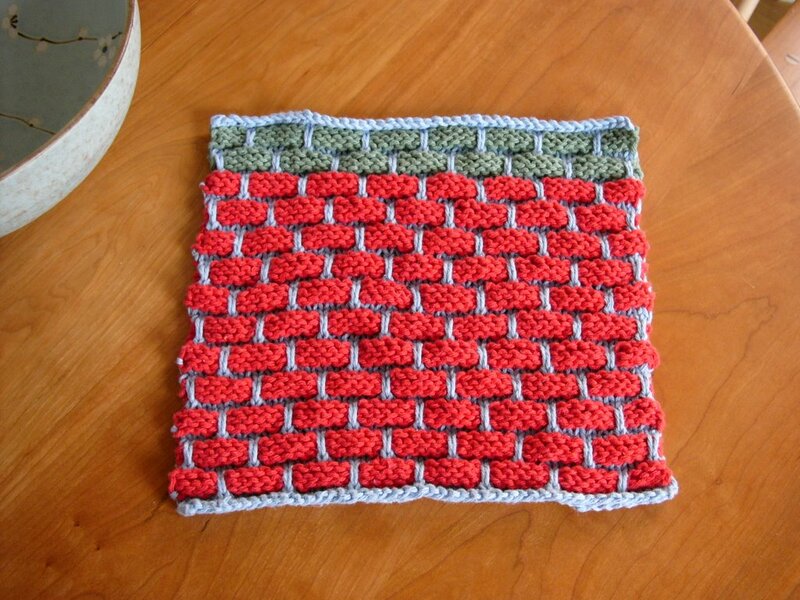 It's a dishcloth! 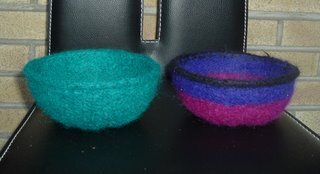 Here's a set of Felted Boxes for my in-laws. 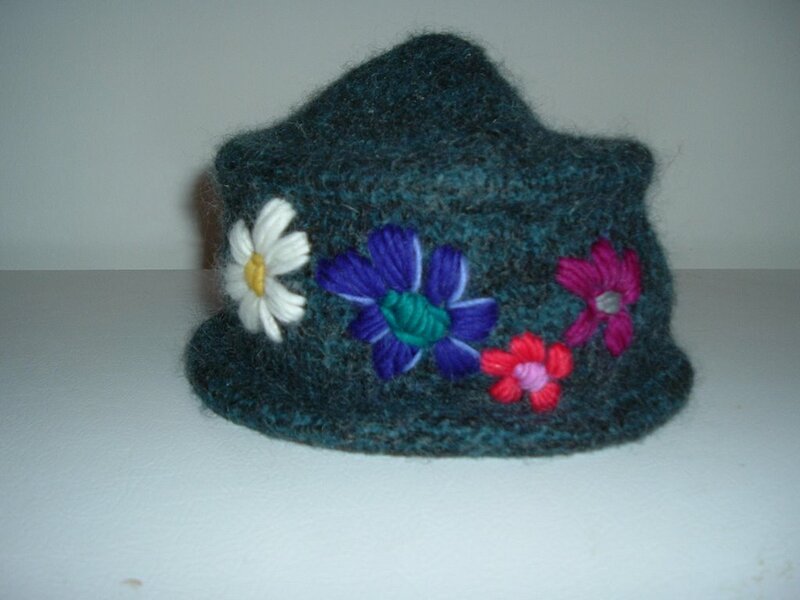 I used Nature Wool Chunky. They felted a little wonky since the different colors felted at different rates. I did not anticipate this. Oh well. I still really like the color variation in the Nature Wool. These will be sent to my grandmother for Christmas. I have included some awesome Chef's Soap from NapaSoap. I love how these warshcloths turned out, they remind me of fields of heather. I decided to do them on US 6s and am much happier with them. I'm living dangerously, as I'm sure other knitters are. One last project to finish up before we leave later for Christmas with our family. Details at my blog. 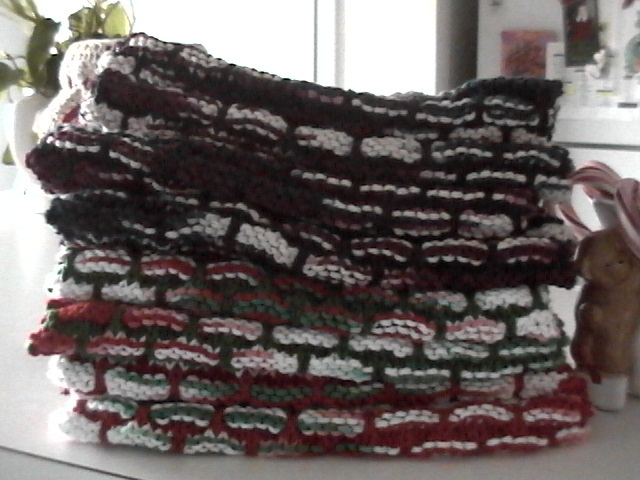 I FINALLY got all my Christmas warshrag knitting done and distributed! Whew! 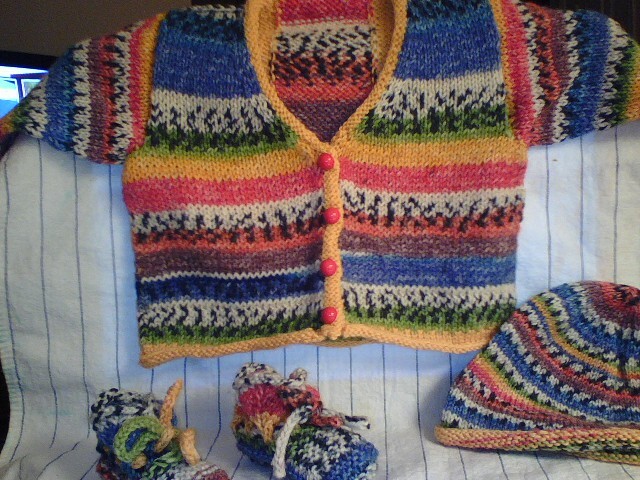 Now, in anticipation of a couple of new babies at church in 2007, I am starting on baby clothes and accessories. I am making the kimono, but I want to have a button rather than a ribbon tie. Has anyone done this? 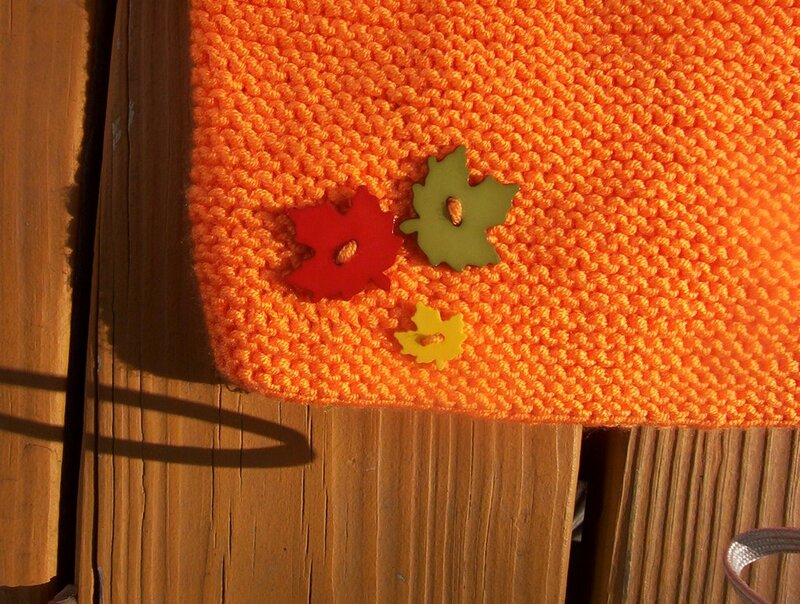 Can you share how and where to place the buttonhole? I would appreciate any help! If I don't post again before Christmas: I wish everyone a very blessed and happy holiday season and many blessing for 2007! 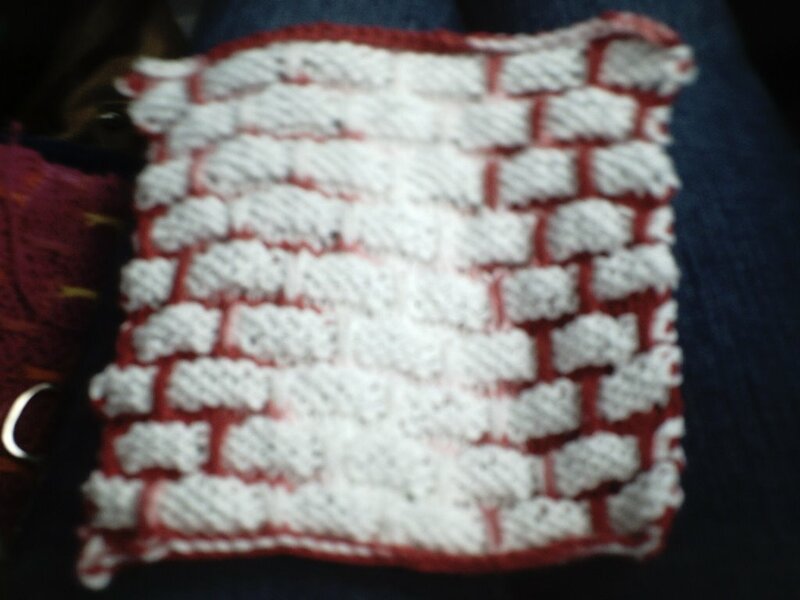 Ballband dishcloth I made for a good friend (christmas gift, of course). This is the third dishcloth I have made. Not yet made anything else from the book, but I love every one of the patterns. 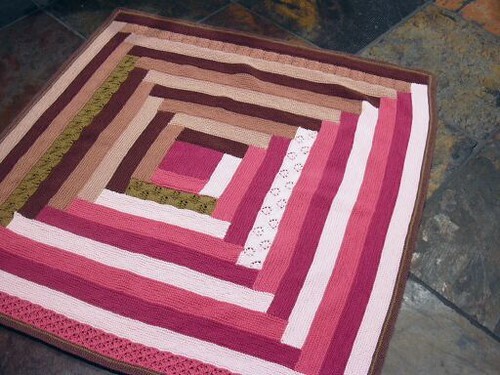 Maybe a log cabin blanket next? We'll see! Yeah, me too! I'm almost done (remember my LIST). I hope everyone has their gifts sorted out and I hope that everyone enjoys their washcloths, etc. 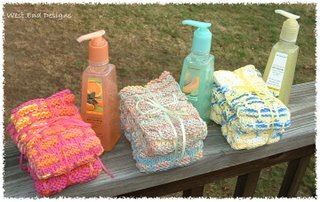 This is the year of the handmade washcloth in my house and I know in many of yours too. 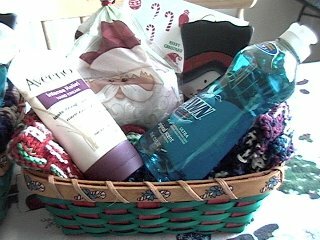 I've got three more items to work on and then I can relax and knit some washcloths for myself (and maybe a few for the 2007 gift basket). Thanks to all for your cheers and support - you've all got mine as well. This forum is so much fun and it's so nice to connect with people of similar interests all over the world! Thanks. To say thank you to you. Places dirty fingers leave goo. Rest each and every night. Feel free to use it as well! 2006 - the year of the ballband warshrag Christmas! 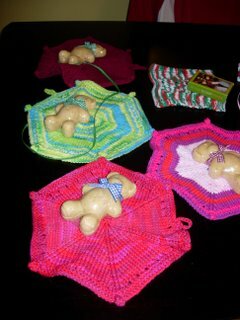 These are for my daughter's preschool teachers - 4 of them! 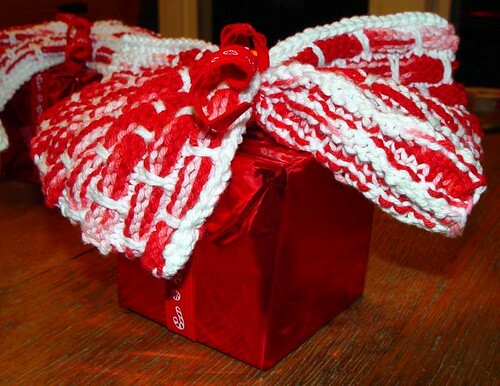 I also gave this gift to the hostess of a party last week - she loved it! Obviously, another Mason*Dixon felted box, this one in Brown Sheep Co, Lamb's Pride Bulky, color - Victorian Pink. These boxes are such a great way to gift a variety of items. I have filled them with washcloths, yarn, soaps and lotions, and now a collection of tea bags, loose tea, and an infuser. Visit my blog to see Ballbands and other recent projects. Isn't this just too cute! This is the Bib O' Love from Mason*Dixon Knitting. I have been waiting for an excuse to try this pattern. The perfect excuse presented itself when I received a Christmas card from a friend who had a new grandchild this year. I used Crystal Palace Yarns' Cotton Chenille in colors 2342 Fern (.75 hank) and 1404 Dark Lilac (.25 hank),#6 Addi Turbo, and #F crochet hook. I picked up these buttons months ago at my favorite yarn shop, Sea Needles in Bethany Beach, Delaware. 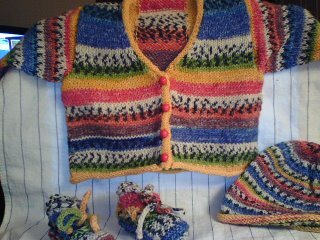 The button collection is called Stitchin' Up the Pieces by Denise Clason for JHB International, Inc. For more bib details and other vital info, visit my blog. Whoohoo! Finished at 2.00 this am in time to catch the last post before Christmas. Frankly, I'm so proud of this - looks so impressive, but is really easy. Can't help delurking and bragging a little - lol! My aunt won't get this in time for Christmas, but I just finished! I like the colors, reminds me of my grandma. The purple is "hot purple" Sugar and Cream and the minty color is Peaches and Creme (sorry, lost the label). I would like to be taken off the list of contributors Mason Dixon KAL. I don't know how to go about it. If it is up to me, please explain. Thank you. 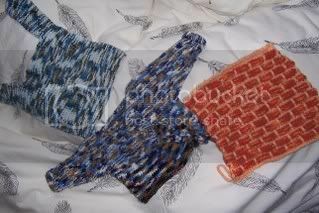 Attached please see my version of the Nina shawl in the MDK book - in blanket form. 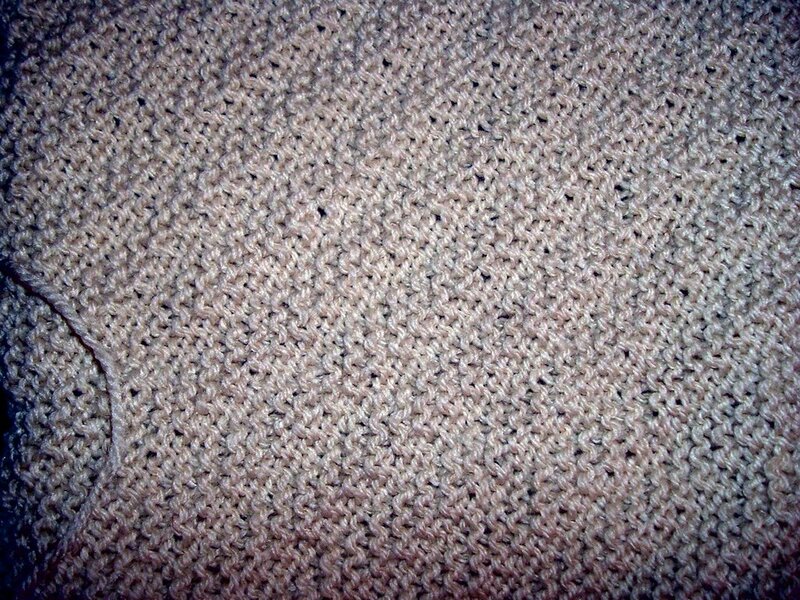 Edging is done in i-cord (although sadly you cannot see it all in the photo). 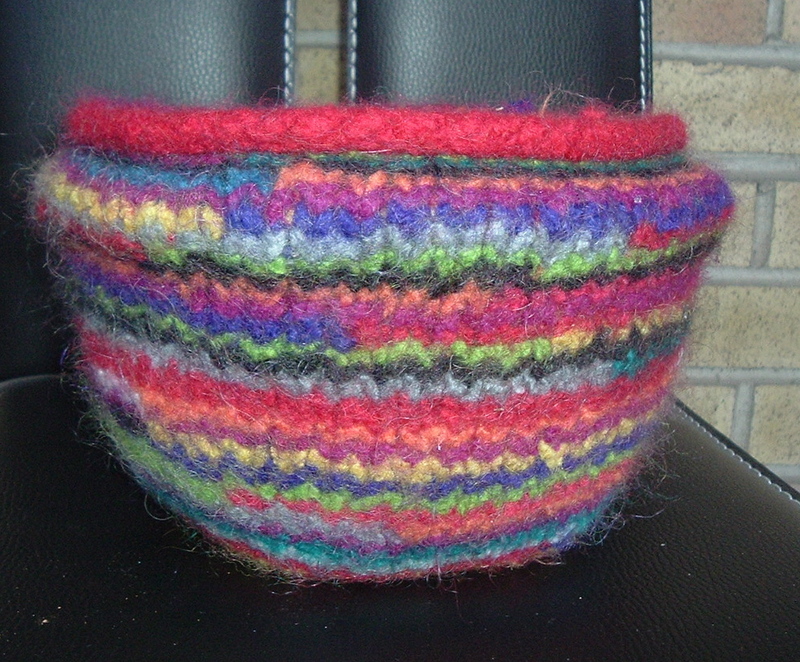 Yarn is Super 10 (mercerised cotton). 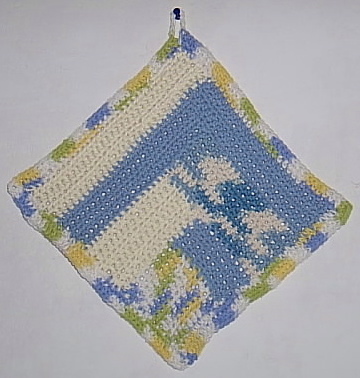 A very nice thing happened to me lately...I got an email from Lisa who belongs to the Monthly Dishcloth KAL Yahoo group that I also belong to. She reminded me of her idea of using EZ's applied i-cord technique on the edges of the ballband to make the edges very neat and tidy which was posted here at the Mason-Dixon KAL in August.. 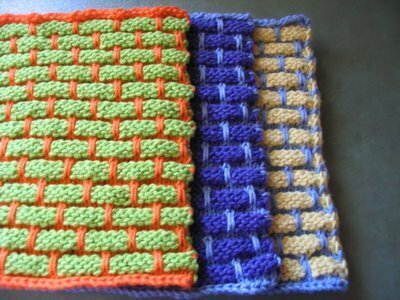 Here's a comparison of the three techniques for edging a ballband: The orange/green is the original ballband with no modifications. 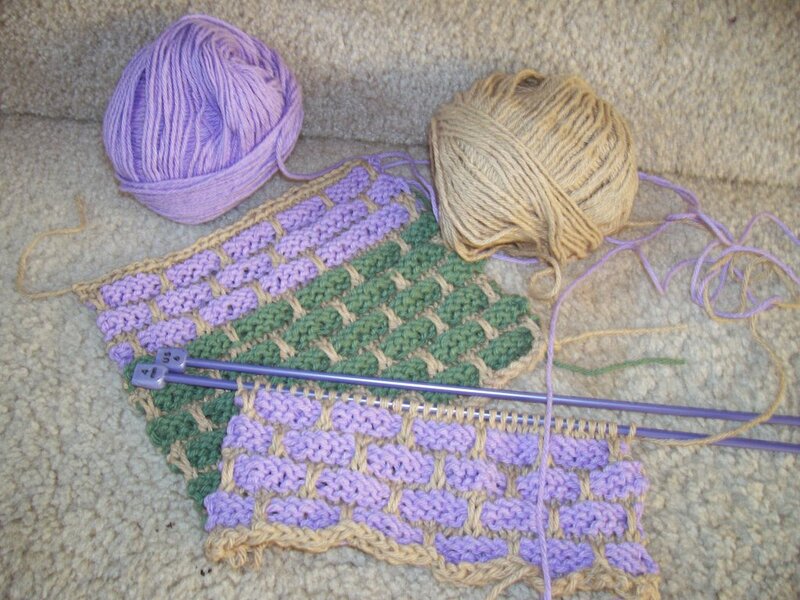 The blue/purple is the slip first stitch of every row, and the yellow/blue is the applied i-cord. I think you can see the differences. Thought this was very worthwhile to pass on again in case you didn't happen to see it in August! It's a good thing :) I have more pictures and the" how to" on my blog if you are interested! 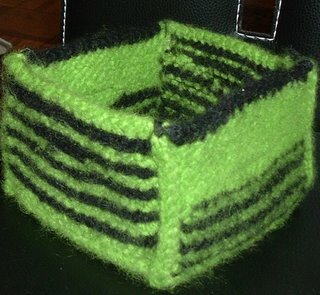 I'm making the felted boxes and I'm confused about the part of the knitted fabric that folds. 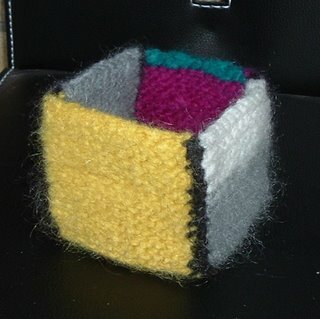 I think the pattern is written so that the knit side of the folding section is on the outside of the box. 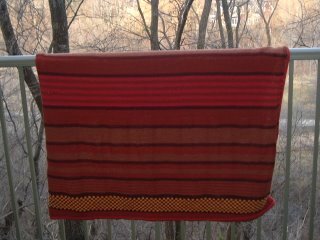 But the fabric seems to fold naturally with the purl side on the outside of the box. What have you all done? 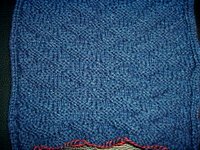 Does felting change folding tendencies of the fabric? 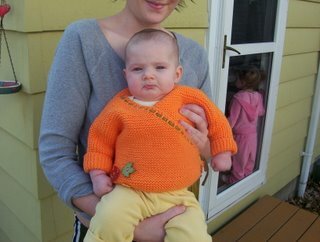 I knit this from Socks that Rock heavyweight. I loved the yarn!! I had to make some adjustments for gague, but I really like the way it turned out! More details in my blog. I hope someone can help me. I made a large felted box and I washed the box twice in hot water, in a pillowcase and with a pair of jeans and it's not felting. What am I doing wrong? Don't think I ever posted my dish cloth. Thought I would add mine to the stack. I made it over the summer. It was quick and easy! I loved making it! 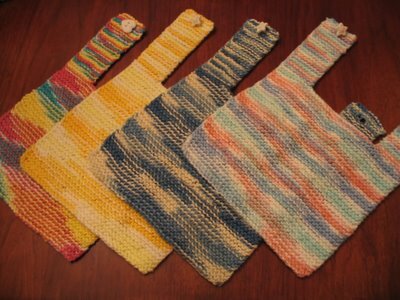 Here's a peek at some of my ball band dishcloths......I LOVE this pattern!!! I made "matching" sets, and then paired them with matching soaps from Bath and Body Works. They are all wrapped in gift bags and ready to go!! I think they make great gifts....everyone needs soap, and everyone does dishes, right??? :) I have already given away one and the recipient was THRILLED!!! Now I need to make myself some!!! Happy Holidays to all the Mason Dixon Gals!!!!! hi all! 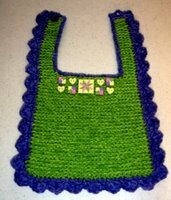 i found this bib half knit on a stich holder buried in my stash! lucky me becuase i have a classmate whose baby is due in february. i finished it up and hopefully will get a baby blanket done to go with it before the baby makes his or her arrival! i just love this pattern. so easy and so cute! it really isn't that crooked, i just took the picture on the uneven ground. 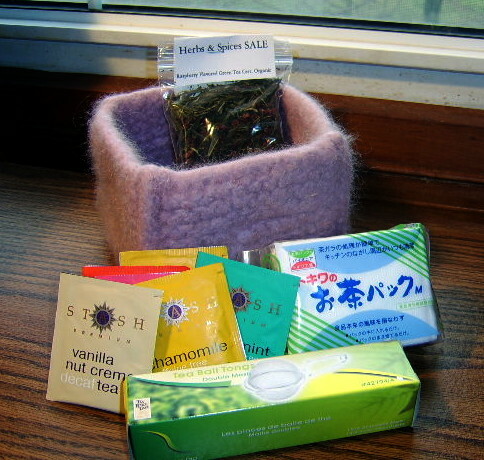 Check out the other goodies I got on my blog. Here are 14 fabulous MD washcloths with Christmas treats that I gifted to my classmates. As much as I was excited to make them and gift them, my hands are looking forward to a little rest from the knitting! I know that there was a post sometime ago looking for verses/poems about the dishcloth and it use. Did anyone come up with anything cute? 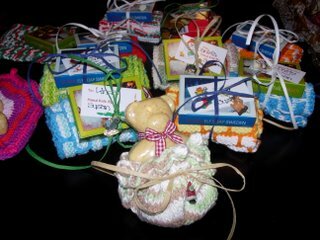 I am giving Dishcloths and soap to my kids teachers and would like to include a cute poem/verse. 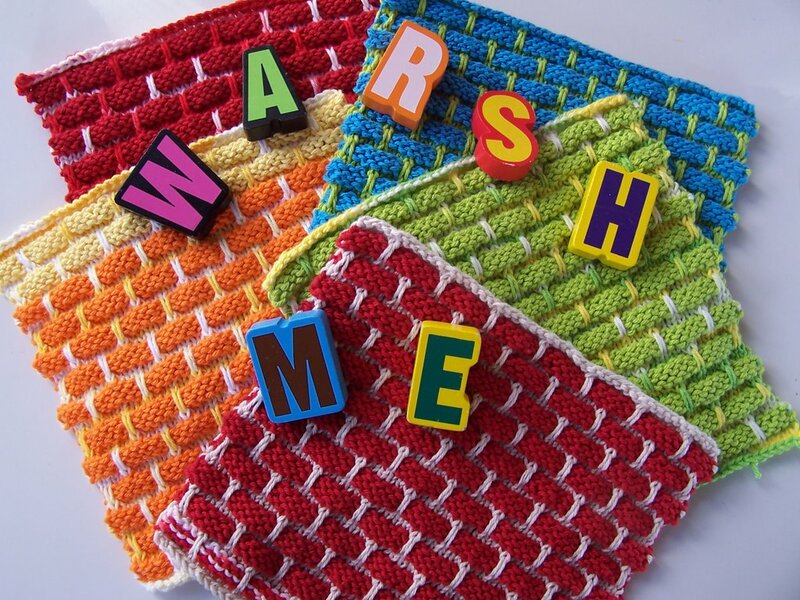 ....a Ballband Dishcloth of course! 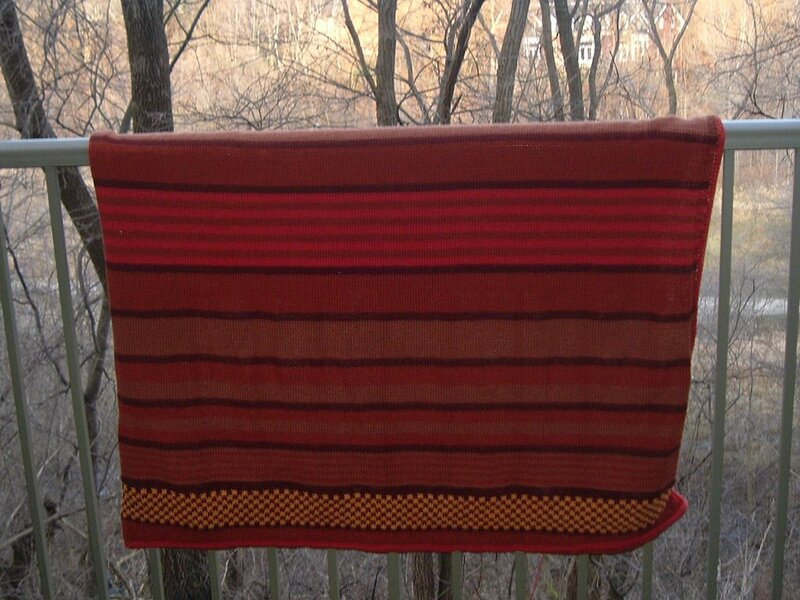 I have many more MD projects planned for the coming year, including the window curtain and a log cabin bathmat. Now if only I could finish those holiday gifts! 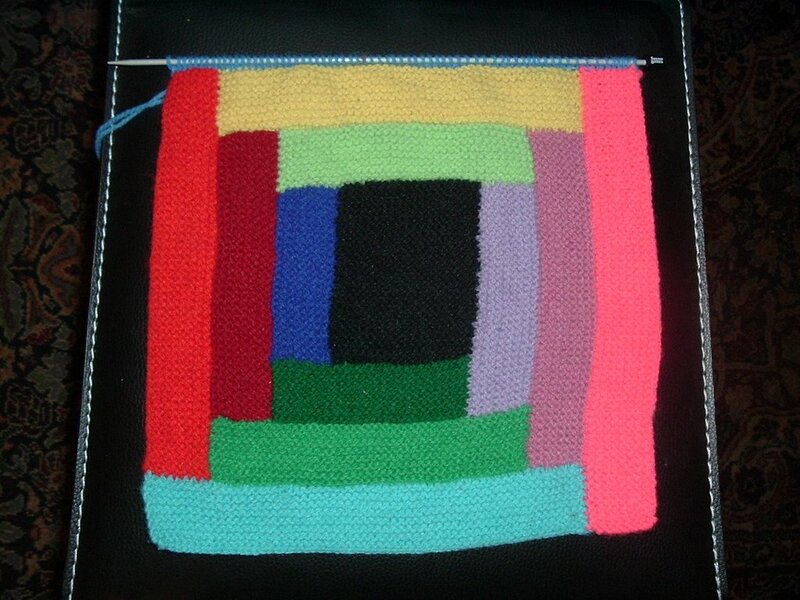 Shooting for 20 squares (4 x 5) which should make a mighty big blankie! Today's square is seed stitch in powder blue. 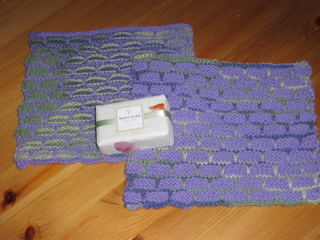 Thanks again to those who helped in my last enquiry about the similar blanket I saw on Kay and Ann's blog! 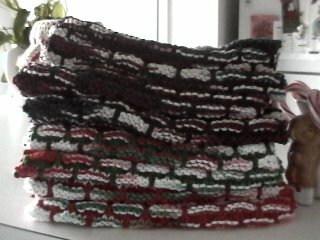 I'm using some Ballband warshcloths I knit in white and peppermint colored Peaches 'n Creme as bows on little gifts I am giving to some co-workers. 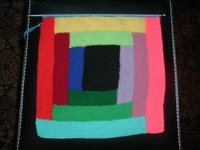 For everyone that has finished a mitered square blanket, I was wondering if you blocked every miter individually or if you sewed them into blocks and blocked them? Thanks! I am a new participant! 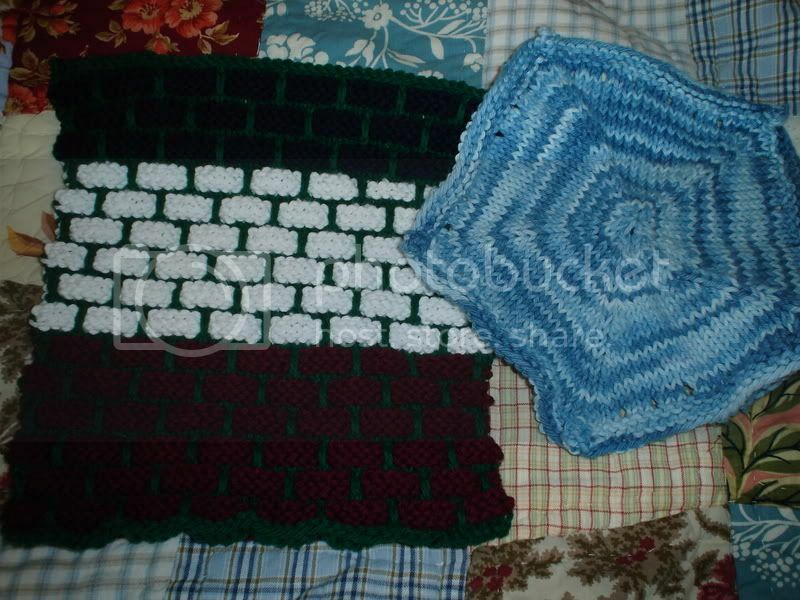 Actually I already finished something from the book, the Mitered Square Blanket. 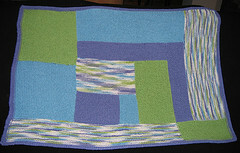 You can see pictures on my blog: http://onepotato.blogspot.com/2006/12/mason-dixon-mitered-square-blanket-and.html. There are many other things I hope to make out of the book, though, so hopefully I'll be back again soon! 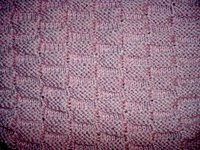 Any tried cotton chenille for bib? I need a quick baby item and have been waiting for the opportunity to get creative with the bib. Has anyone tried cotton chenille? Despite the care instructions on the label, I have had good luck machine washing/drying Crystal Palace's Cotton Chenille, and have lots of it in my stash. The Winter 2006 Knitty is out - here. Peaches and Cream - Canadian substitute? 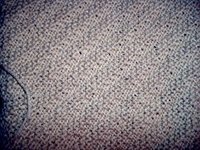 I'm ready to start a big dotty pillow for my brother, but I have a question. Do you carry all the yarn colors up the side as you knit, as instructed with the ballband washcloth, or do I need to break yarn after I am done with each color? I have been working on my mother's Christmas present and I am officially halfway done. 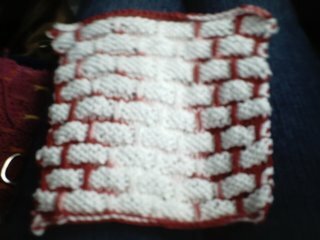 The washcloth is almost done. This is white Peaches'n'Creme and Candy Cane Peaches'n'Creme. I cast on 33 stitches and knitted 9 bands. It came out pretty cute if you ask me. Oh, excuse the picture. I was taking that picture on a bus ride to Montgomery on a field trip. There isn't really a weird white stripe. lol.